In 1878, the founder of Rocky Ford, G.W. Swink shared his bountiful watermelon crop with passengers at the Rocky Ford Depot and the Arkansas Valley Fiar began. Today, the Arkansas Valley Fairgrounds hosts Colorado’s oldest continuous fair. The Adobe Stables were constructed as a project of the Works Progress Administration (WPA) and are a rare intact example of exposed adobe brick. The Adobe Stables were the site of Colorado Preservation, Inc.’s second annual weekend workshop series, where through the efforts of a number of preservation partners and volunteers, twenty-five of the stables were rehabilitated for use. 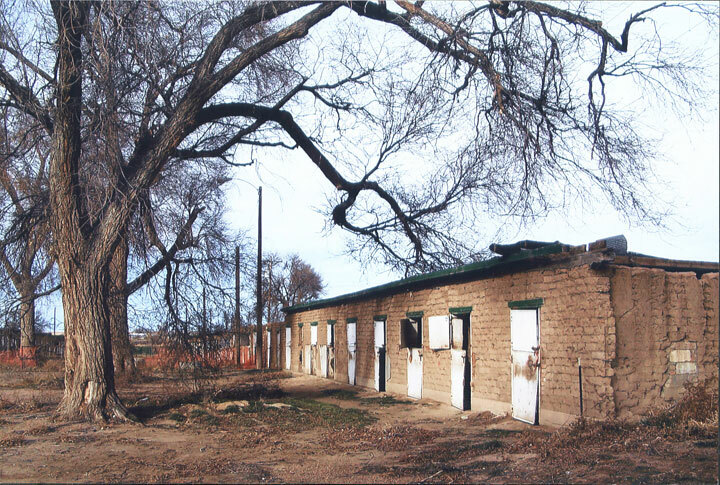 The City of Rocky Ford has made the restoration of the stables a top priority and has conducted subsequent community workdays to make and lay hundreds of traditionally formed adobe bricks. The goal is to have all the stables fully operational once again able to house horses during the fair and special events. The Stables were added to the National Register of Historic Places in December of 2007. Attend the Arkansas Valley Fair!